We’ve been hearing of a Snapdragon 855-powered Redmi flagship since early February and recently even the compnay’s GM confirmed its existence. Now, said device has allegedly appeared in a hands-on video revealing its design. This video shows the front and back side of the Redmi flagship. 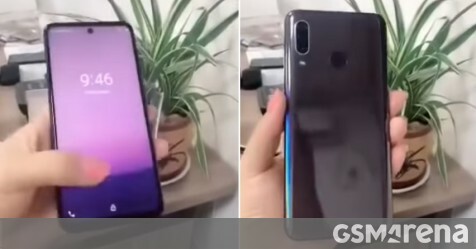 On the front, it has a punch-hole display, but this one’s a bit different from what we have seen on other smartphones like the Honor View 20 and the Samsung Galaxy S10 lineup. Instead of having the hole in the left or right corner, this Redmi smartphone has it in the center which looks a bit weird. While it’s somewhat more efficient than a waterdrop notch one has to wonder if the minimal gains are worth the extra development efforts. The smartphone also has tiny bezels on the left and right side of the display, with the top and bottom bezels slightly thicker. Moving on to the back, we have a triple camera setup positioned vertically, and it’s accompanied by an LED flash and a fingerprint scanner. The back of the smartphone appears to have a glossy finish, but it’s unclear whether it’s a glass or plastic body. A VCN Company © Copyright 2019. ALL RIGHTS RESERVED.